The Chambers House was built in 1906. In 1914, C. Homer and Edith Fuller Chambers purchased the house and moved in with their two daughters, Ruth who was 11 years old and Florence who was 16 months old. Ruth and Florence never married and lived in the house after Mr. & Mrs. Chambers passed away. 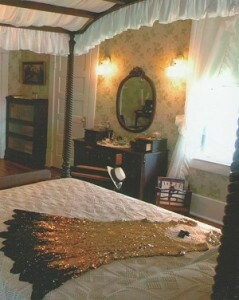 After Florence’s death in May of 2004, the Beaumont Heritage Society got the first glimpse of the interior of the house. It was a treasure trove of furniture, personal items and artifacts that had survived nearly 100 years. Although it has been referred to as a restoration, it really is a conservation project since nothing had been changed in nearly 100 years. Entering the house is truly like stepping back in time.